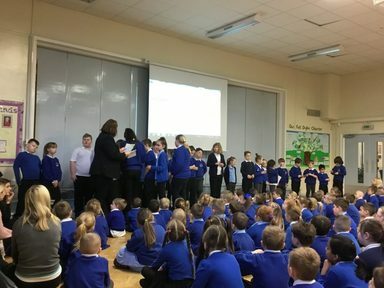 Well done to all of our fantastic children who received a prize for being in the Golden Book. 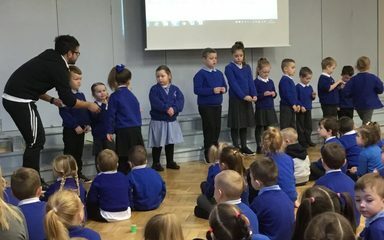 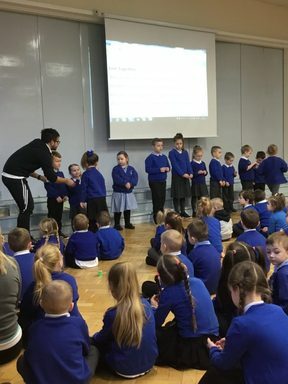 Congratulations to the children who received their Bronze and Gold multiplication badges. 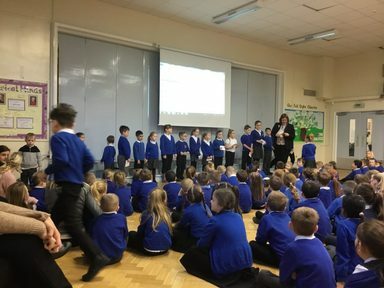 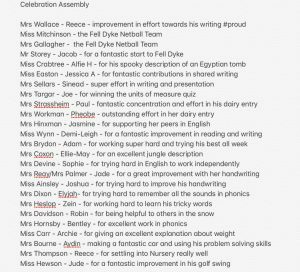 Well done to all of the children who received certificates for: excellent behaviour, 10 Gold Star, Lunchtime Awards and Reading Rewards. 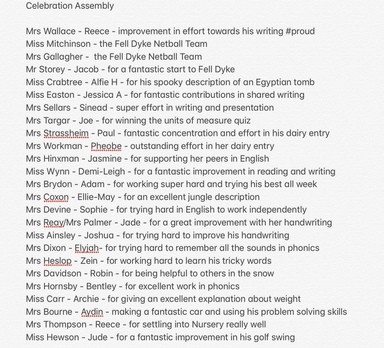 Thanks to the parents and careers who come to celebrate the children’s successes with us.